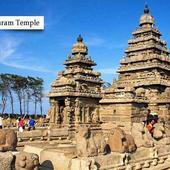 Tamil Nadu is located in the southern India. The word Tamil Nadu means “the land of Tamils”. Tamil Nadu is one of the most literate states in India. Tamil Nadu has 37 universities, 552 engineering colleges. The state has 449 Polytechnic Colleges and 566 arts and science colleges. Some of the premier educational institutes in Tamil Nadu are Indian Institute of Technology Madras, Indian Institute of Management Tiruchirappalli, National Institute of Technology, Tiruchirappalli,Tamil Nadu Dr. Ambedkar Law University, Chennai, College of Engineering, Guindy, Madras Medical College and Tamil Nadu Agricultural University. Good institutions in the state also include Indian Maritime Institute and Institute of Mathematical Sciences, located in Chennai. some of the best private educational institutions giving technical education are Thiagarajar College of Engineering Madurai, Amrita School of Engineering Coimbatore, VIT University Vellore, SRM University Chennai and Veltech University Chennai. Tamil Nadu National Law School (TNNLS) Tiruchirappalli provides education in Law. Top colleges for studying MBA in Tamilnadu are Indian Institute of Management, Tiruchirapalli; ITM Business School, Chennai; Department of Management Studies, Indian Institute of Technology, Madras; Loyola Institute of Business Administration, Chennai; Department of Management Studies Anna University, Chennai; Amrita School of Business, Coimbatore; Thiagarajar School of Management, Thirupparankundram; Department of Management Studies, National Institute of Technology, Tiruchirappalli.